Ark Profiles is supplying the standing seam roofs and Alucobond rainscreen cladding to two new LIDL stores, Merthyr Tydfil and Pontypridd. 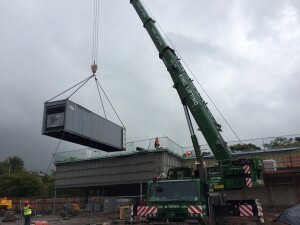 This follows on from the completion of LIDL Llanishen earlier in 2015. 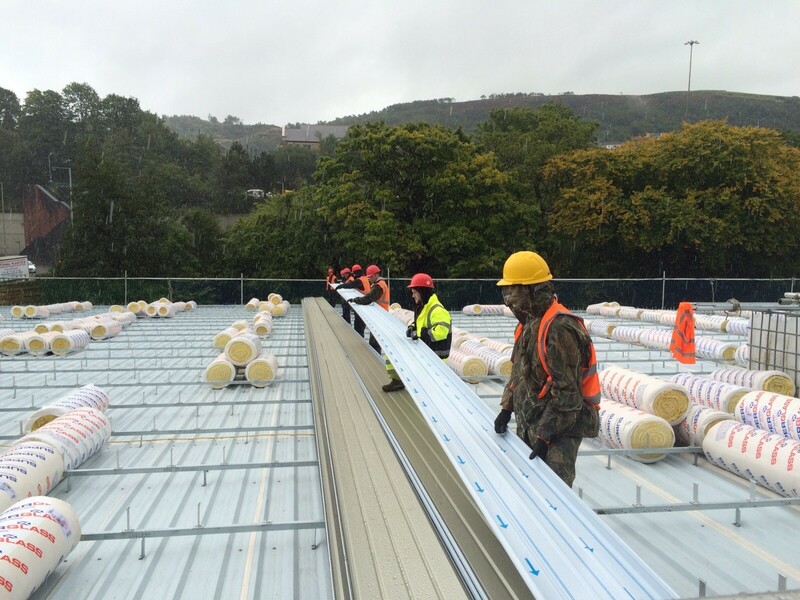 Ark Profiles has supplied RAL9006 aluminium ArkZip 65/400 to the new LIDL store at Pontypool. The installer had the ArkLiner installed, and sealed as the vcl and air barrier. The spacer system and halters were installed and ready, with gaps where ArkZip bundles were to be positioned. 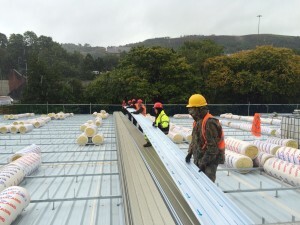 In spite of the weather, 1650m2 of ArkZip were manufactured at eaves level in one day. 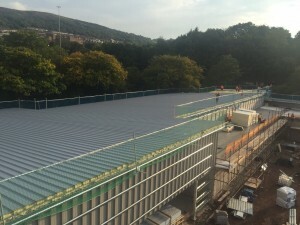 The ArkZip sheets were then installed, also in one day. Photo 3: The ArkZip roof sheets installed in one day, just 6 sheets to go!